KHC stock dividend reduced by 36%! There are a few things in life that truly irritate me. And dividend reductions by a company I own are right at the top of that list. As the opening line of this article indicates, the Kraft Heinz stock dividend was recently reduced by a large amount. So let’s dig into the situation and see what is going on using my dividend deep dive process. First of all, the name Kraft Heinz has been a mouthful for me ever since the 2015 merger of these two iconic brand name food companies. That goes back to my days working in the pizza industry. The company I worked for made frozen pizzas for each of these companies when they were separate entities. So I am going to refer to Kraft Heinz by their stock symbol, KHC. And please note that KHC stock trades on the Nasdaq stock market exchange. Kraft Heinz was formed in 2015 when the 2 firms merged. The merger created the 3rd largest food and beverage company in North America and the 5th largest food and beverage company in the world. I can’t say I am a big consumer of KHC products. Maxwell house coffee is the only one on the list I consume. And I’m not brand loyal. If a competitor has lower priced coffee when I’m shopping, I switch. Perhaps my personal perspective as a consumer is telling. I am a pretty mainstream food consumer, so if I’m not buying KHC products, others must be doing the same as me. KHC stock pays an annual forward dividend of $1.60 per share. Based on the recent stock price, that dividend payout puts the KHC stock dividend yield at 4.9%. That is certainly an attractive dividend yield, but let’s looks at KHC dividend growth to round out our perspective. I received my KHC shares from the merger transaction in 2015 as a result of being a Kraft shareholder at the time. The merged company maintained the Kraft dividend, so I did a 5 year look back for perspective. What’s not reflected here is that as a Kraft shareholder, I received a special cash dividend of $16.50 per share at closing of the merger. That was big money at the time. It was equivalent to 27% of Kraft’s stock price! I was very happy. Fortunately, I did not reinvest this dividend back into KHC stock. I invested the money from the special dividend elsewhere. But the positive KHC dividend news quickly faded. Over the 5 years through 2018, KHC stock dividend growth was pretty low. 2-4% as indicated in the chart above. And now for 2019, company management has decreased the dividend by 36%. The stock price has followed right along tumbling by a similar amount since the dividend reduction announcement. “profitability fell short of our expectations due to a combination of unanticipated cost inflation and lower-than-planned savings”. “We believe this action will help us accelerate our deleveraging plan, provide us strategic advantage through a stronger balance sheet, support commercial investments and set a payout level that can both grow over time and accommodate additional divestitures. By doing this we can improve our growth and returns over time”. This is a company that is clearly in need of cash. Divesting assets to reduce debt and continue paying their dividend is one way to go about getting cash. Looking at the business fundamentals will show us their cash needs. Let’s do that next. 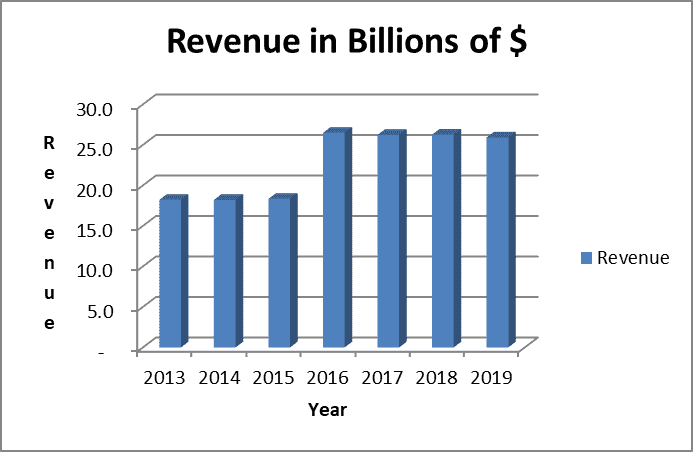 The increase in 2016 revenue was due to the merger. Beyond that, there has been no growth. The brands and categories KHC operates in are under pressure. Unit volume is under pressure due to changing consumer preferences. Sales prices are under pressure for the same reason. In addition, competition from private label store brands is fierce. Once I strip these unusual items out to get at earnings from the core business, I do not like what I see. Mainly earnings per share that have been range bound for the past 7 years. 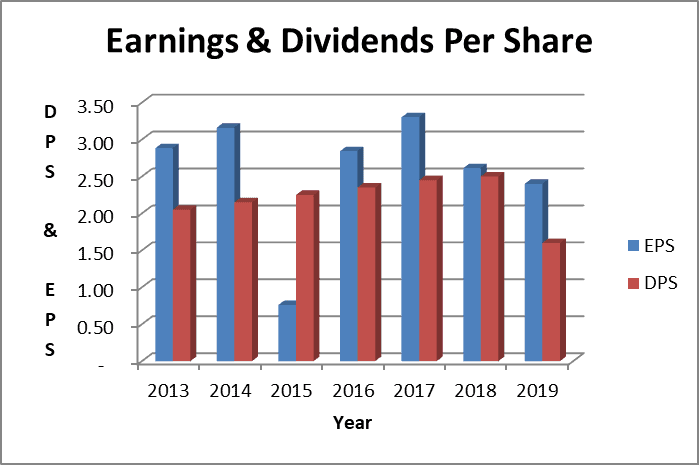 Dividends per share have usually been less than earnings which is a positive sign. But that doesn’t tell the whole story. Free cash flow shows the real issue when it comes to KHC dividend safety. After all, dividends are paid from cash not accounting earnings. 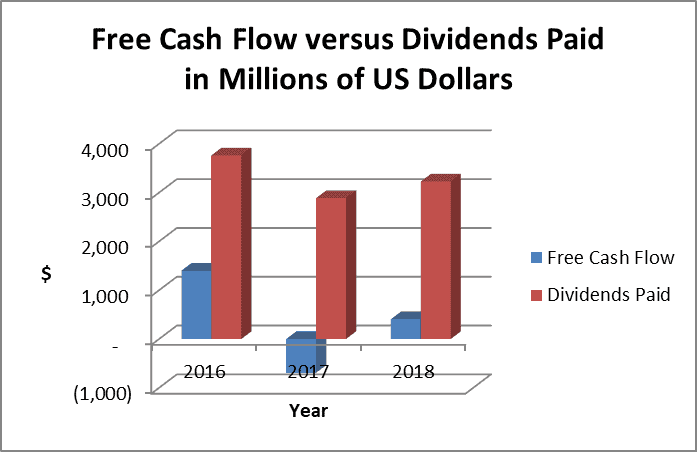 A quick review of the chart shows that free cash flow has not come close to covering the dividend payments. This was not sustainable. Without a dramatic turnaround in earnings and cash flow by 2020, I question if the new, lower dividend level can be sustained. 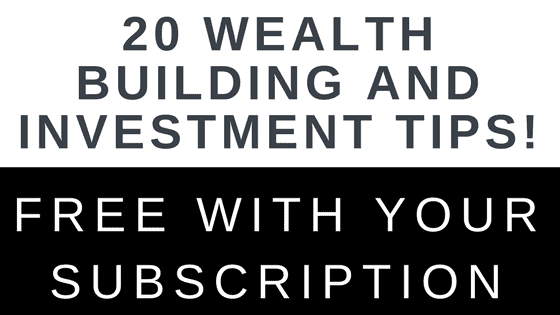 Selling off assets to reduce debt and pay the dividends is not a long term strategy. KHC is really in a turnaround situation at this point. KHC is starting to remind of General Electric. Just like General Electric, business results have to dramatically improve or the dividend will likely be reduced again. KHC has a Baa3 and BBB credit rating from Moody’s and S&P, respectively. These ratings represent “investment grade-moderate credit risk” evaluations. They are at the low end of investment grade. Any slippage could result in a downgrade from investment grade to speculative grade. KHC’s debt to equity ratio is not bad checking in at .5 times. However, with the lack of free cash flow and the dividend exceeding that free cash flow, their debt level is troublesome to me. The KHC stock price to projected 2019 earnings sits at about 14 times. To compare, the S&P 500 forward price to earnings ratio for 2019 is 16 times. KHC is trading at a discount to the overall market. The investment analysis firm Morningstar believes KHC stock is fairly valued at $55 per share. They are placing a high degree of value on the company’s brands and distribution capabilities. Morningstar makes valid points, but why hasn’t the company been able to leverage these strengths since the 2015 merger? And why will they be able to now? From my dividend growth investor perspective, the valuations provided by the price to earnings ratio and Morningstar do not reflect the risk of turning this business around. KHC faces difficult challenges in the categories they operate. Any value is too high of a value for me right now when the dividend does not appear to be safe. I take dividend reductions really hard and almost always sell after a cut. The sting of this dividend reduction is a little less. 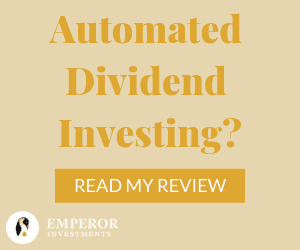 Taking into account all of the dividends I have been paid including the special one-time dividend as part of the merger still leaves me with a positive return on investment. But in hindsight, I should have dug into KHC’s financial statements last year when the company did not increase their dividend on their normal schedule. Doing so would have probably resulted in a similar conclusion to sell before the damage to the KHC stock price from the dividend reduction. But that is “water under the bridge” at this point. All I can do is learn from mistakes and do better the next time. KHC and the KHC stock face too many challenges and risks for me right now. I plan on selling my shares and reinvesting the proceeds in another stock with a similar dividend yield and better dividend growth potential. Candidates I am considering are Dominion Energy and Southern Company. I may keep my money in the food industry. In that case, I will consider Hormel. But Hormel has a much lower dividend yield. I recently sold all of my KHC stock. I am no longer an owner and recently collected my last KHC stock dividend. I don’t like this stock too much, either. Just from looking at their brands, they are, frankly, kind of “junk food” focused. We are very price-conscious grocery shoppers, but quality is very important, too. So, we shop at places like Trader Joe’s. i own mkc in the food space. they’re killing it. the div. is now 57c/share and up from 37c five years ago. the share price has come along for a nice ride too. of course if you care about present day yield 1.55% might not make the nut. resenfeld did a terrible job at the helm of kraft. i had an interview once at a milkbone plant and didn’t get the job and have been steamed at kraft ever since. Have looked at MKC many times, but never pulled the buy trigger. It is a high quality dividend growth stock from my perspective. Thanks for the comment. Sorry about the job. Usually, some of the most reliable dividend payers can be found among consumer staples. But as the KHC case shows, nothing is guaranteed. That is why it’s essential to analyze the dividend safety and at least review some key figures. The above illustrated Free Cash Flow Vs. Dividend paid, is one that I like to use a lot (dividend are paid in cash). I simply visit f.e. Morningstar and take a look at the last five years. In April 2018 I was thinking about buying KHC (valuation was already super cheap). I have checked these numbers and fortunately didn’t invest. FCF payout was absolutely stressed. I’m not saying that checking it will take out the risk of buying a future dividend cutter. But it’s a good point to start, for sure. Thanks for the detailed analysis. Receiving shares as compensation can be awesome IF the company continues to perform well when you decide and are able to sell. I’m glad you got out of a bad situation and can move on. We’re not brand loyal anymore either. If the quality doesn’t suffer bring on the low prices! Hi Tom. Just bought KHC. I think the share price decline by nearly half is a good spot to buy in more. If i were to stay with my 1y old buy it would be a lose lose situation. Now im doubling the bet so either i will crash hard with KHC either this will be a good investment. I have done this with PG and divested 7 month later with a +27% gain 🙂 I agree with KHC deleveriging strategy in general. I was that annoying voice in DGI community saying against increase of financial debt and decrease of equity paying more dividends and doing share repurchase more then earned Net income. Also I just their ketchup 🙂 im betting for KHC comeback. P/E bellow 10 just to good. Same is with T.
You nailed it on your analysis and it appears 3Gs magic touch is now problematic across a chunk of their portfolio (BUD, KFC and possibly QSR). Perhaps Warrens’ play is to swoop in as it worsens with financing in the form of convertible preferreds (à la BAC)? I’m not too brand loyal too but you see Heinz ketchup everywhere at all the restaurants. I heard about the recent dividend cut, dividend cuts are the worst! 🙁 I haven’t followed to see what Berkshire did with Kraft Heinz but I don’t think they decreased their position. As usual a very thorough deep dive. I remember thinking about opening a position in KHC (my daughter loves their ketchup).